In this chapter on caricature drawing, we’re going to be talking about relationships. But don’t worry – we don’t mean relationships between people, and there’s no chance Oprah, Jerry Springer or Jeremy Kyle will be dropping in! We’re simply talking about the relationships between each of the features on a human face….phew! 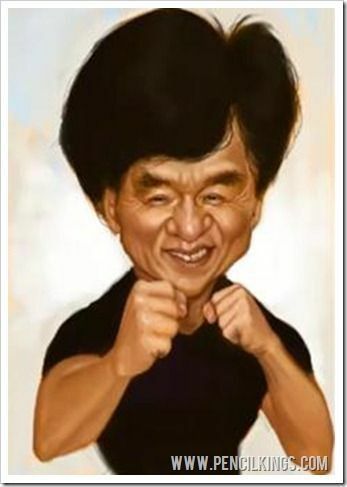 When creating your caricature drawing, it’s important to have a standard to compare everything to. 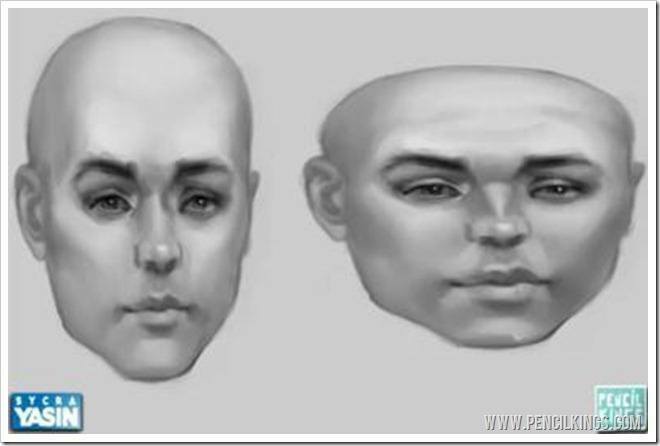 In this chapter, Sycra will show you how to take a realistic face and exaggerate the features so it becomes a caricature. 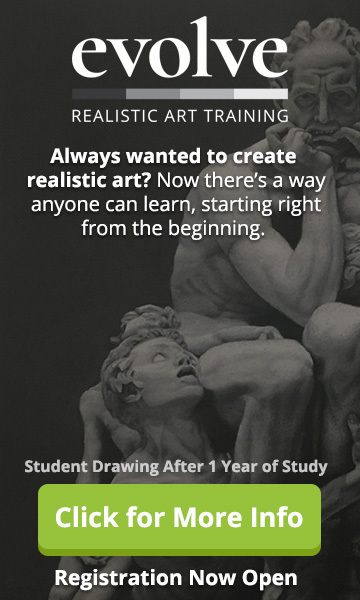 So, if you’re ready, let’s get going and set out on the path to creating a successful caricature drawing! 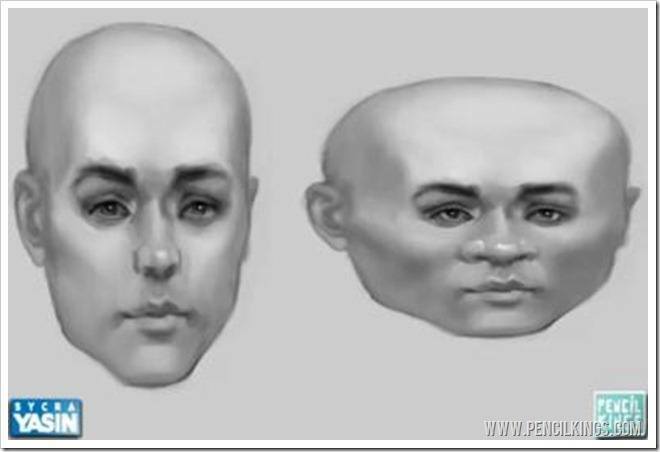 In this example, Sycra has created a generic human face which he’ll use as a basis when exaggerating or over-emphasizing the features. 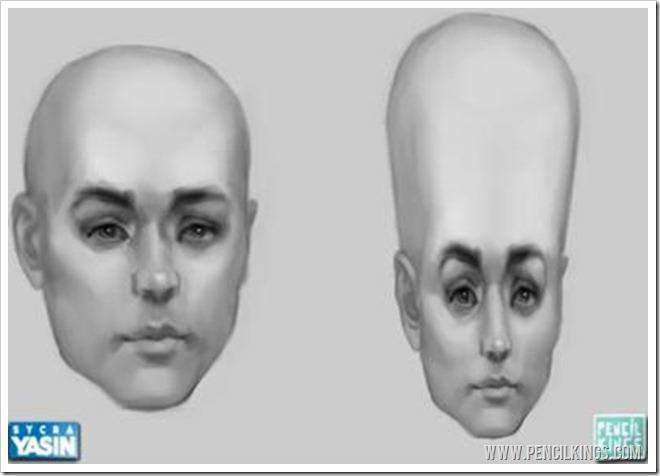 The example on the right shows the effect created by squishing the image vertically – notice how the forehead is now much larger and the face is thinner as a result? In the next example, Sycra shows you what happens if you take things in another direction and squish the image horizontally – notice how the face is now wider but not as tall? 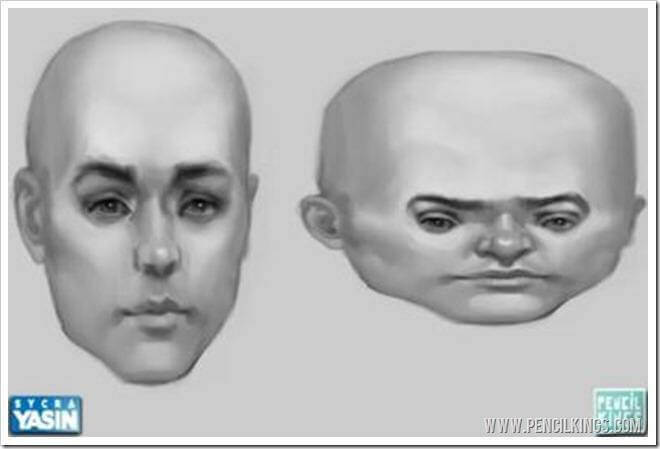 There’s a big difference between these two examples and this is a good way to demonstrate how adjusting or exaggerating the features in one area can affect the features in another – this is what Sycra means by the relationships between facial features. 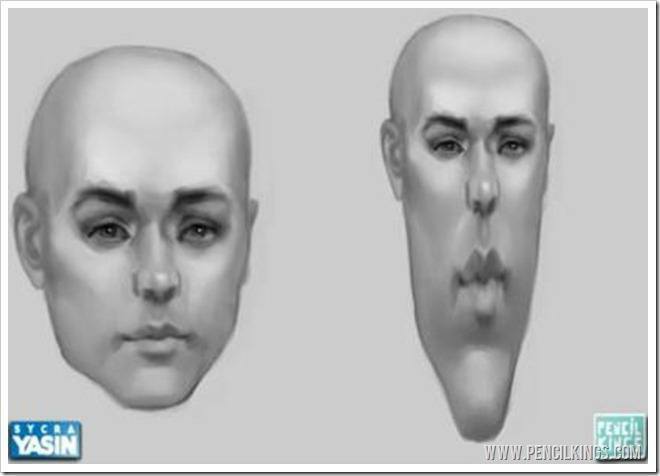 In caricature drawing, however, you’ll usually just be concentrating on one single feature rather than all the features. 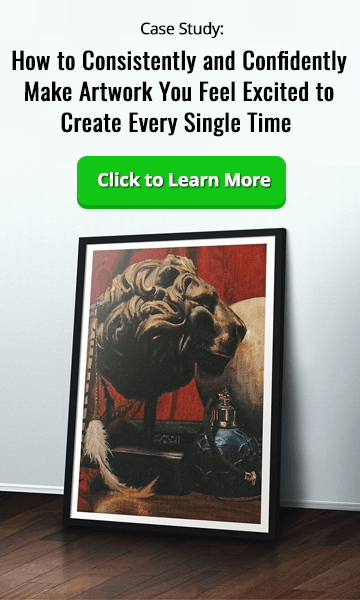 And, understanding how it affects the rest of the face when you do this is one of the key factors in creating a great piece of caricature art! This is exactly what Sycra has done here – having decided the chin is the most prominent feature, he exaggerates this and makes the other features smaller but more or less unchanged. Help! The aliens are coming! This is what happens when you go the other way and make the forehead larger instead. Notice how the lower portion of the face (the area from the eyes to the chin) is now made a lot smaller as a result? Alternatively, why not see how it looks with a smaller, wider forehead? Notice how the eyes are now further apart and the distance between the features is smaller? 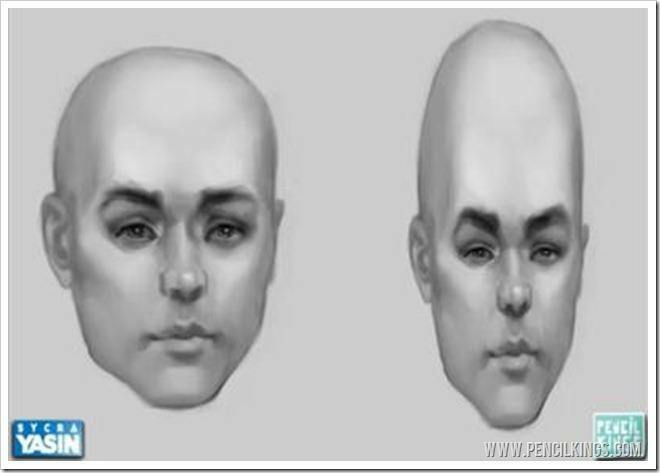 If you take this idea to the max, you can see how creating an incredibly wide forehead has resulted in the rest of the features being made even smaller. Caricature drawing is a game of comparing one thing to another and adjusting features accordingly. Big or small, wide or thin? The choice is yours – just remember how this affects the relationships between the other features in the face. 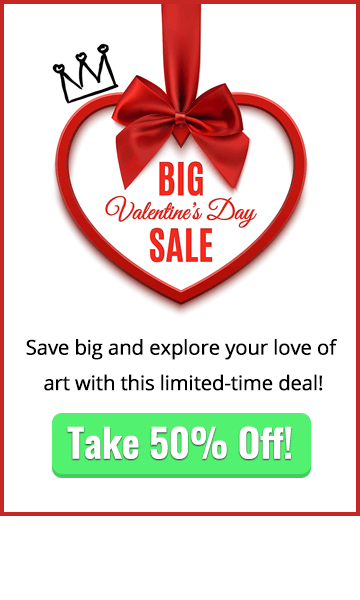 In the next lesson on caricature drawing, you’ll be going into this in more detail and discovering some of the techniques used by leading artists such as Sycra to create their awesome caricatures. We hope you’re having fun so far and learning a lot – let us know how you’re getting on by leaving us a comment in the box below!